Air Navigation Pro iOS 6.7.1 is Now Updated! The Air Navigation Pro team works round the clock to make sure that our flight assistant application is constantly evolving into a better product. We work on bugs as soon as they are reported, all the while, updating and steadily making our app better with each patch. With the recent iPhone X release, and the growing number of users, we aim to make your app as easy to use and as convenient as possible. With the help and feedback of all pilots around the world, Air Navigation Pro continues to strive to provide easy and fitting aviation support for our users. 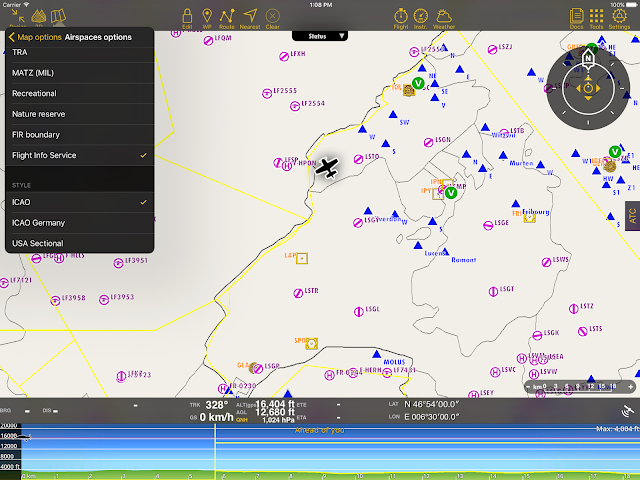 With the availability of Flight Information Services, subscription packages for the Air Navigation Pro's Global Aeronautical Database and the compatibility with iPhone X; pilots will surely benefit from these added features. Air Navigation Pro iOS 6.7.1 is scheduled for release on November 13, 2017 (Monday). Apple just released the iPhone X, one of the most-anticipated smartphones of the year. Because of its growing popularity and demand, we have eased into updates for support and compatibility. Avid users of our app won't have to worry about using the flight assistance on their new devices, since we're constantly moving forward and anticipating the growing needs of our pilots. 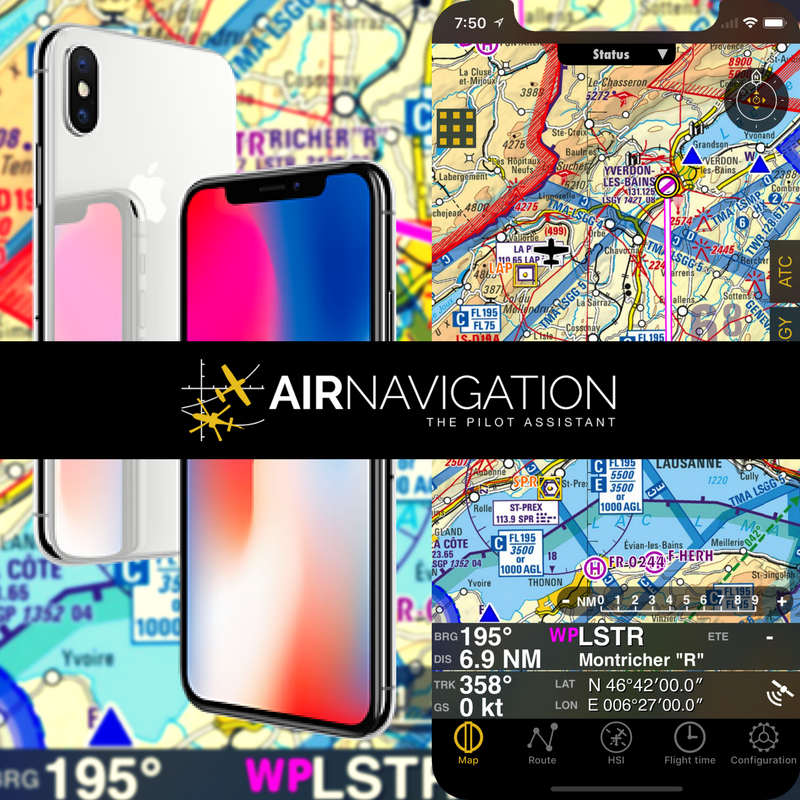 Now, you can enjoy Air Navigation Pro your new phone; however, the full optimization of the display is scheduled to be released early 2018. Users can now access the Flight Information Services in the moving map. This newly-added feature is important in making sure that the user experience the safest flight possible. The Air Navigation Pro's Global Aeronautical Database is adapted for commercial and military pilots, as well as casual and private ones. Boasting of over 200,000 waypoints including: Aerodromes, Reporting Points, Helipads, Sea Plane Bases, Glider Ports, Balloon Ports, IFR Waypoints, DMEs, NDBs, VORs, VORTACs, TACANs, VOR/DMEs; and 50,000 airspaces containing classes A, B, C, D, E, F, G, Danger Areas, Restricted Areas, Forbidden Areas, Glider Areas, Glider Prohibited areas, CTR, TMZ, TSA, TRA, MATZ, Recreational Areas, Natural Reserves, FIR and FIS. More than 150,000 users trust in the Air Navigation Pro application to help them reach their destination safely. 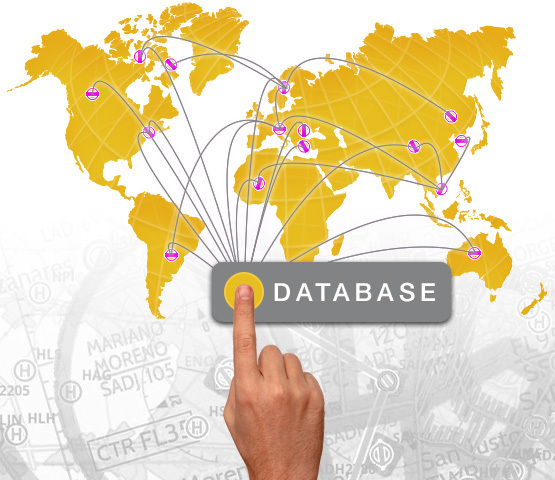 The database is constantly reviewed and improved, with that help of analysts that publish updates for each AIRAC cycle, which happens every 28 days. When you subscribe to the Air Navigation Pro Global Aeronautical Database, you not only get to access our independent updates but also those that we get from highly reliable sources such as the Aeronautical Information Publications (AIP) published by the Civil Aviation Authorities (CAA). Our managers are all experienced pilots who work closely with the app engineers to make sure that they build the best possible database in terms of data access, monitoring, control and quality. We have currently implemented a subscription payment option for our comprehensive and reliable aeronautical database, in which subscribers will have access to our monthly updates. Subscribers get to benefit from the most updated and accurate database so they can fly with maximum safety; including other services such as: Notice to Airmen (NOTAM), ATC Flightplans Filing, Weather and Forecast, Obstacles. Non-subscribers may still access our full database, and will have a unique free annual update once a year that happens on November, instead of a monthly basis. What do you think about our most recent update? Let us know by sending us a message in one of our social media accounts Facebook, Instragram or send us an e-mail at demi@airnavigation.aero. It does not work well on iPhone x. The screen dimensions look like in the previous version. Hello, we investigated the issue, and Apple requires Air Navigation Pro to migrate to Xcode 9 development environment tool, which will require months of testing. We will perform this migration early 2018. Air Navigation pro will still be working with iPhoneX but unfortunately it will not yet be optimized for the iPhone X display.